This is the Big Boy. 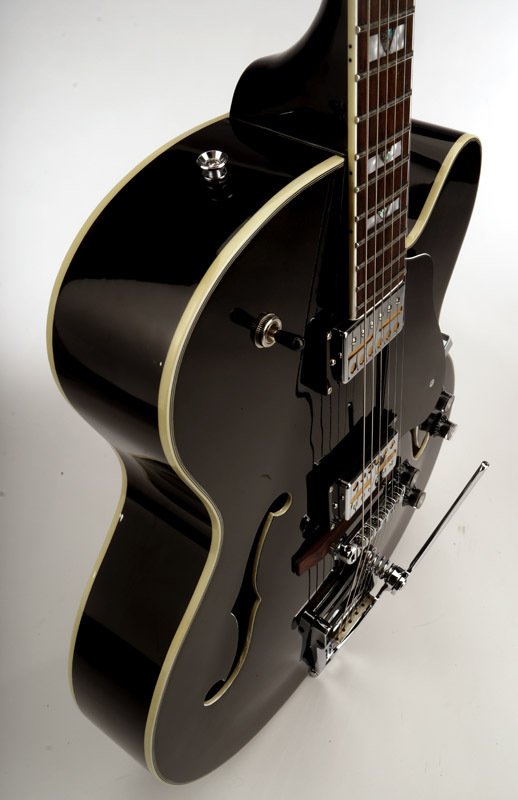 A full bodied semi Hollow DELUXE Jazz Guitar... with a Rock and Roll heart! 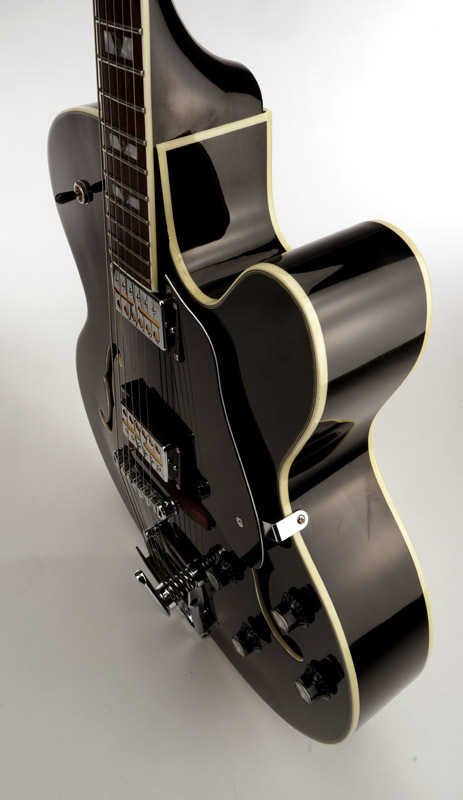 We've always loved the great big bodied electric guitars of the 60's. 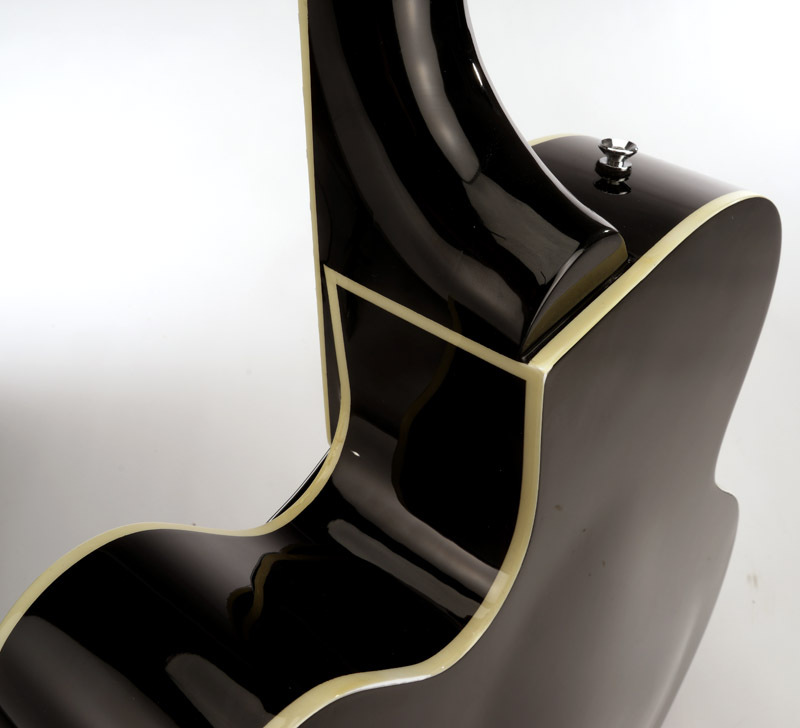 Designed for buttoned down Jazz players, the designers of these guitars never anticipated greasy Rockabilly guitarists would plug in, turn up and ROCK! 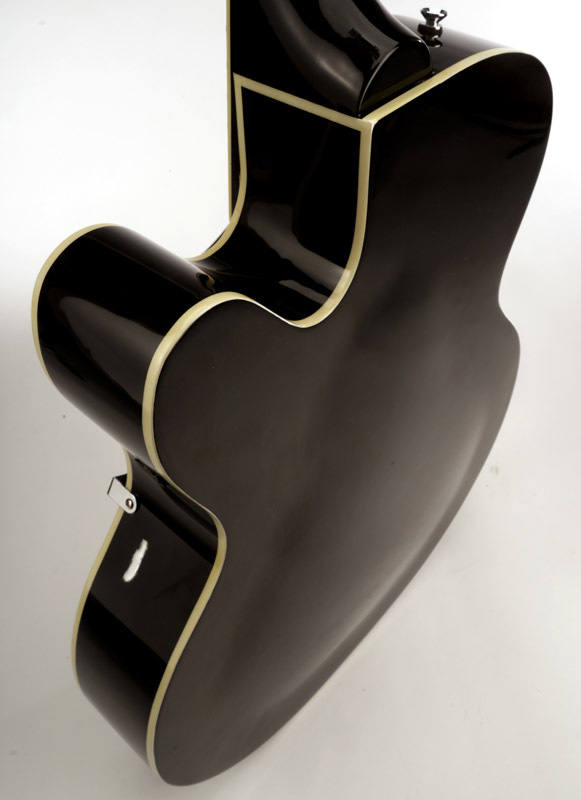 Well we know what you want to do with these guitars, so we built one to suit. Big body- 41.5" long with a full 17" wide lower bout, 10 3/4" waist and 12 5/8" upper bout. A full 4" Thick at the center of the arched top and back, and 3 1/4" at the edges. The top and back are heavily arched and made, in the traditional manner, of individual sheets of maple laminated to create a STRONG and graceful arch. 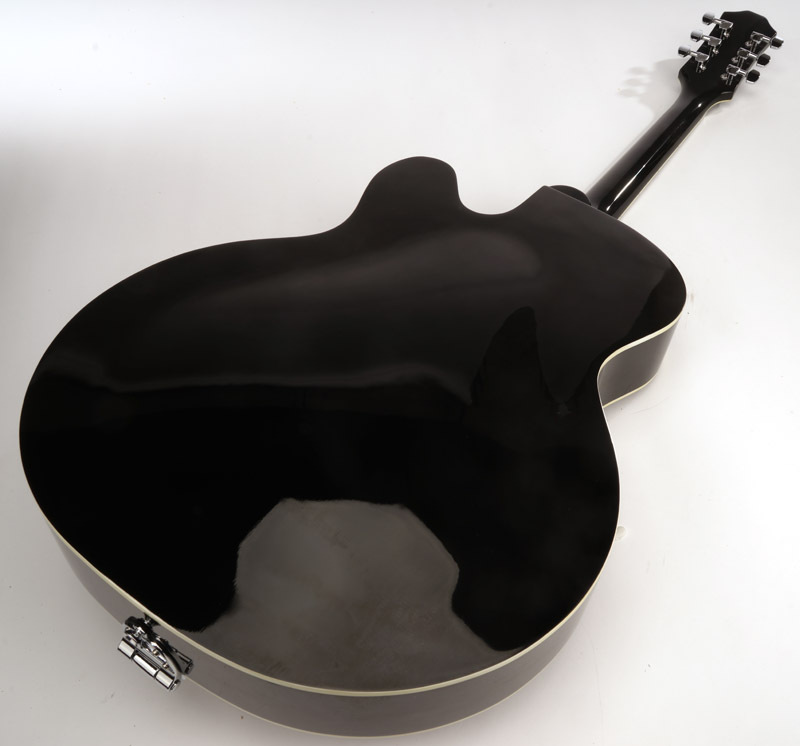 The bent maple sides and maple top and back give the guitar a bright, LOUD acoustic voice. We install a 1/2" thick Maple trestle under the bridge location- to add strength and give this guitar the ability to play at stage volume without terrible howling. 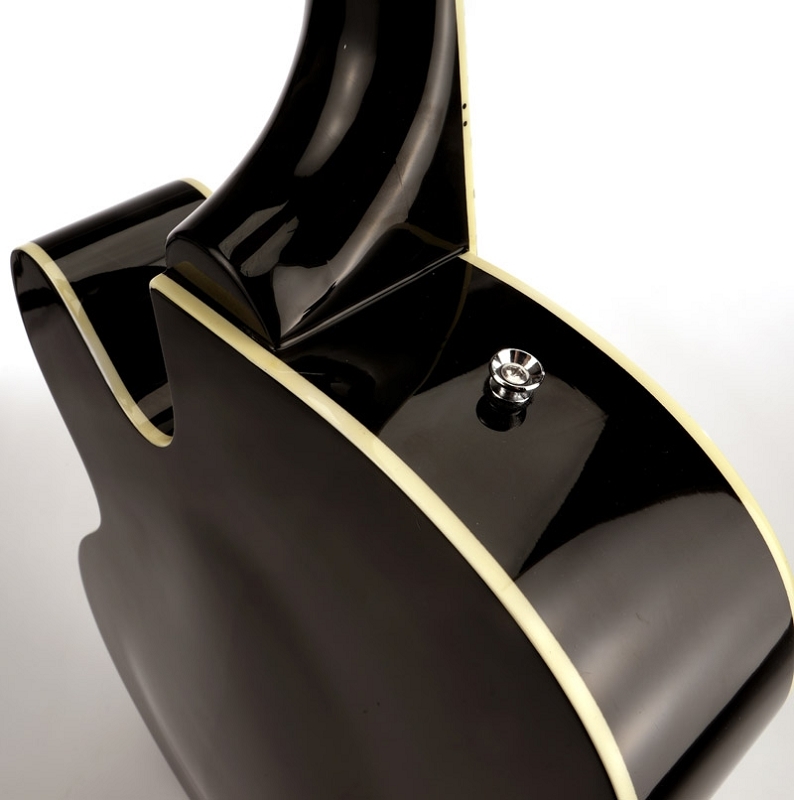 This guitar drips with class and elegance. 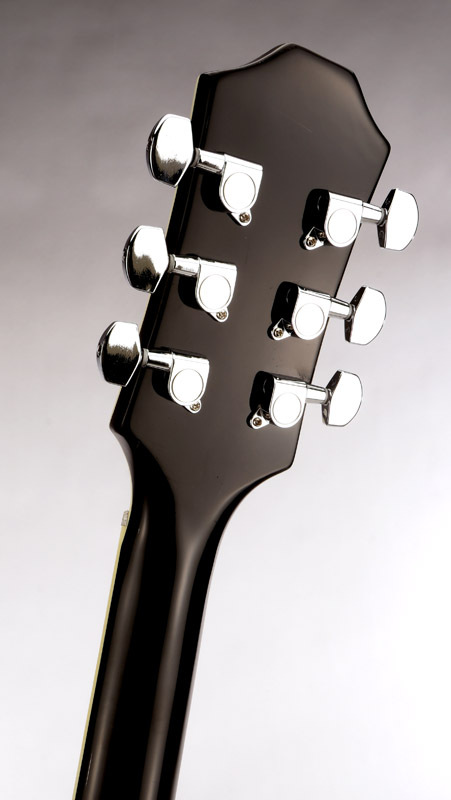 The body is triple bound, and the fingerboard and headstock are also bound. 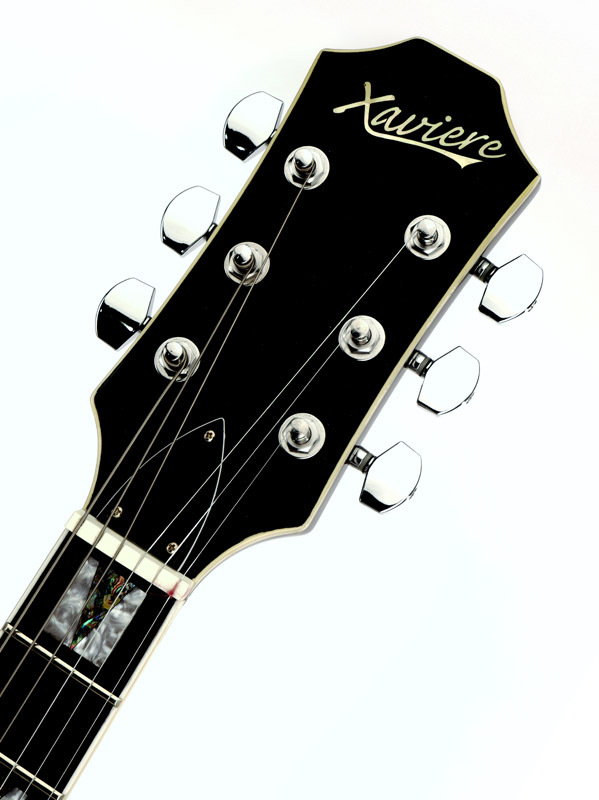 We install a roller bridge on a rosewood trestle bridge, and the Xtrem FT tailpiece gives you that beautiful fluttering vibrato without sucking tone or sustain. 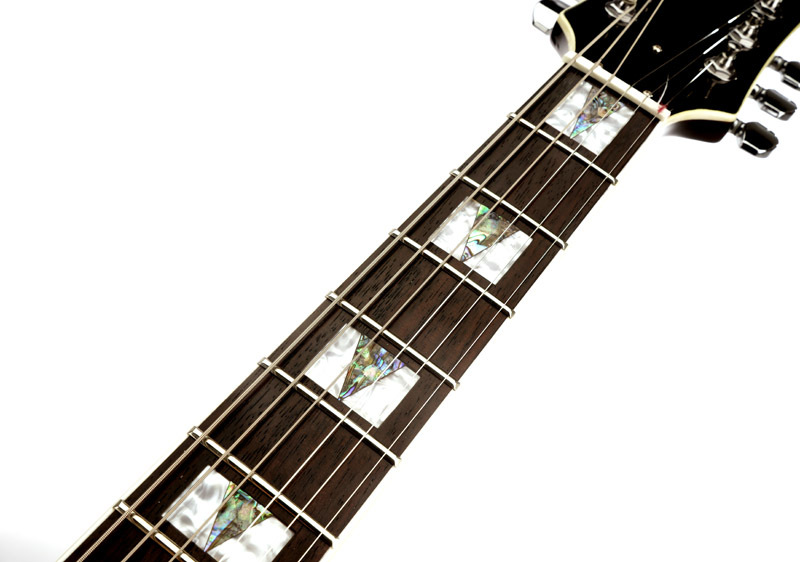 Beautiful abalone and mother-of-pearl inlays adorn the rosewood fingerboard. 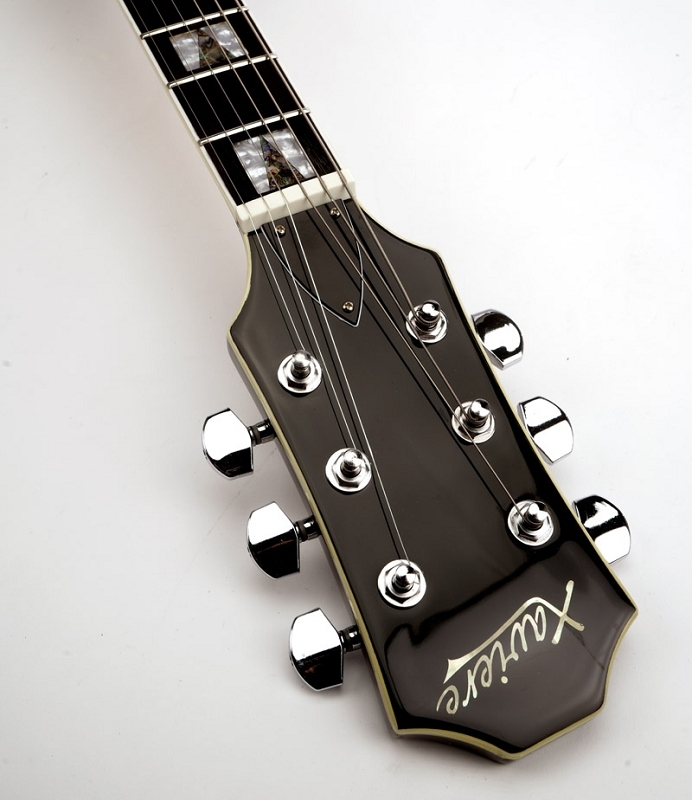 But the best secret of the XV-975 is the pickups. We install a full retail version of our GFS Gold Foil Pickups. Installed are the GF125 and GF126 Single Coil Pickups. 6.8K at the bridge and 6.0K at the neck, they give you all of the fullness of P90s with the clarity and sparkle of Tele pickups. The middle position is fully noise cancelling. These are a VERY well matched set of pickups for a guitar of this size. 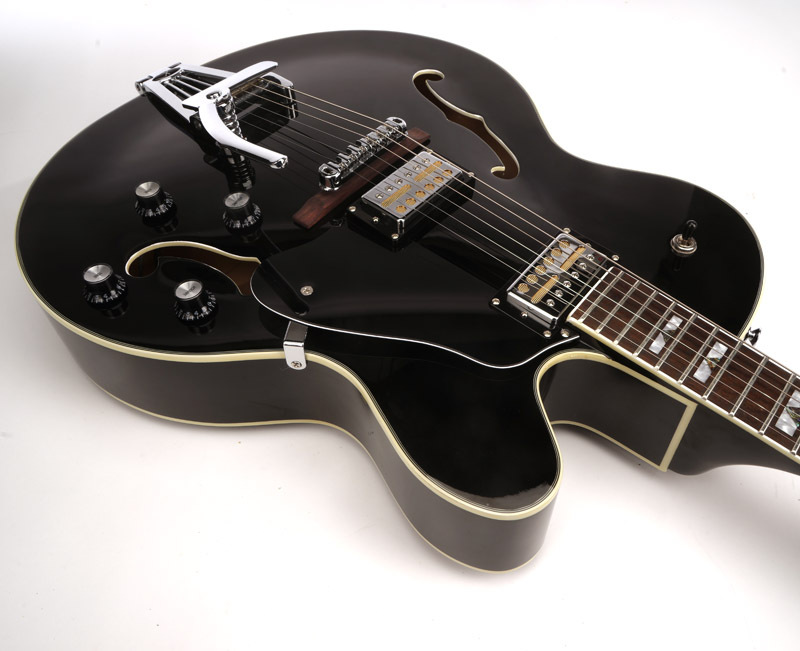 This is an amazing sounding guitar- really nothing else matches it under $1000.